Here are some of the key points from Maria's presentation at the Spring Creativ Festival 2015. 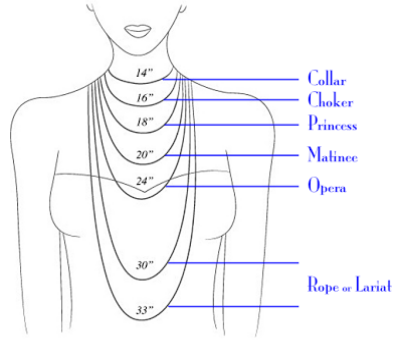 One of the question often asked about making necklaces, other then techniques, is about the correct length for various styles. This image shows the standard length you will need to adjust to ensure that it will fit the wearer perfectly. 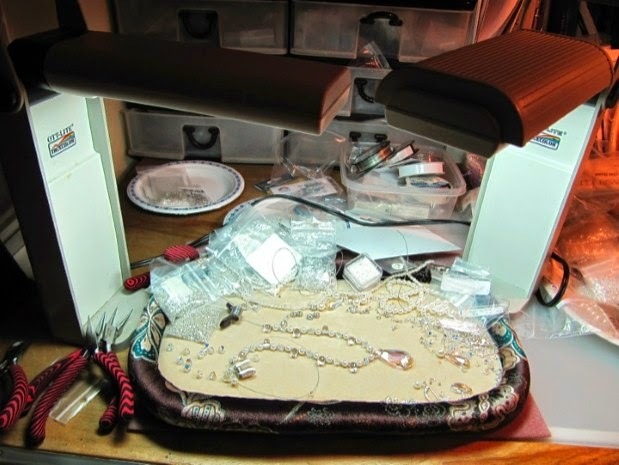 Essential tools for most beaders include a design board, needles, cutting tools, pliers, personal lighting and a work surface. Your work surface can vary based on personal preferences, portable and cost. Here are some that Maria uses; bead on it boards have a contained surface and lap trays can allow you to bead as a passenger on road trips. But Maria's personal favourite is Chinet plates. They contain the beads, are inexpensive and portable (dessert-size will fit into a medium ziploc). Tools you will need for basic beadweaving are thread trimmers and various size needles. 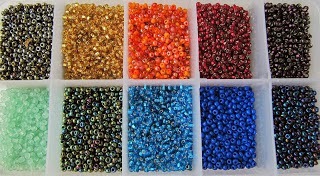 Beading threads are generally nylon based. Picture below are the various threads including nymo, C-lon, One G, and Fireline. Use the colour that best blends into your work. Neutrals such as black, white, grey and ash are essential to have available. Colour does matter. Below are two bracelets, one stitch with crystal Fireline and the other with black nymo. 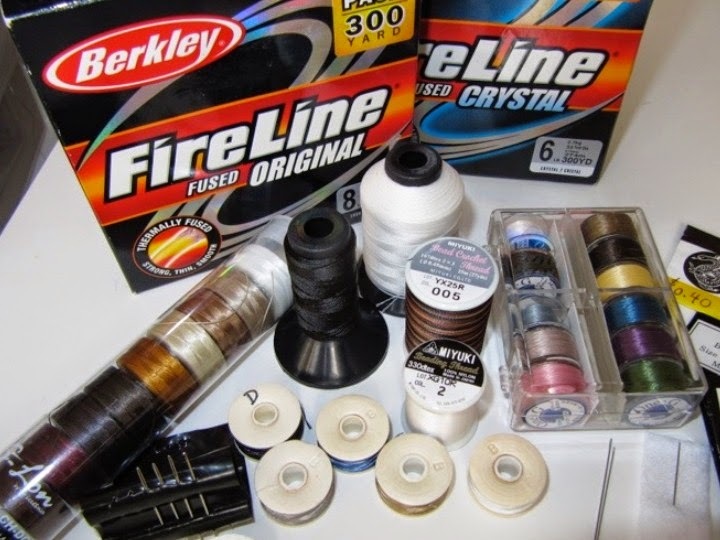 Fireline and other products form the fishing world are used where a stronger material is needed. Getting the needle onto the thread can be a challenge due to the very small eye of fine beading needles. Try needling the thread. 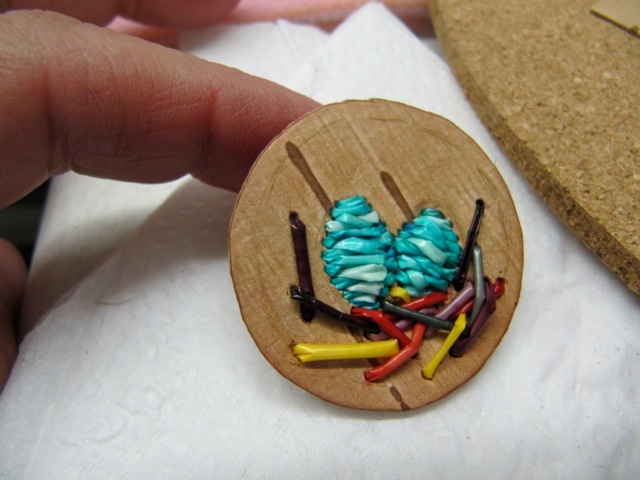 Hold the thread between finger and thumb with just a small end showing. Move the needle onto the thread. If you still have trouble flip the needle as the eye of the needle is punch and one side is smoother than the other. At some point in a larger project you will have to add new thread. 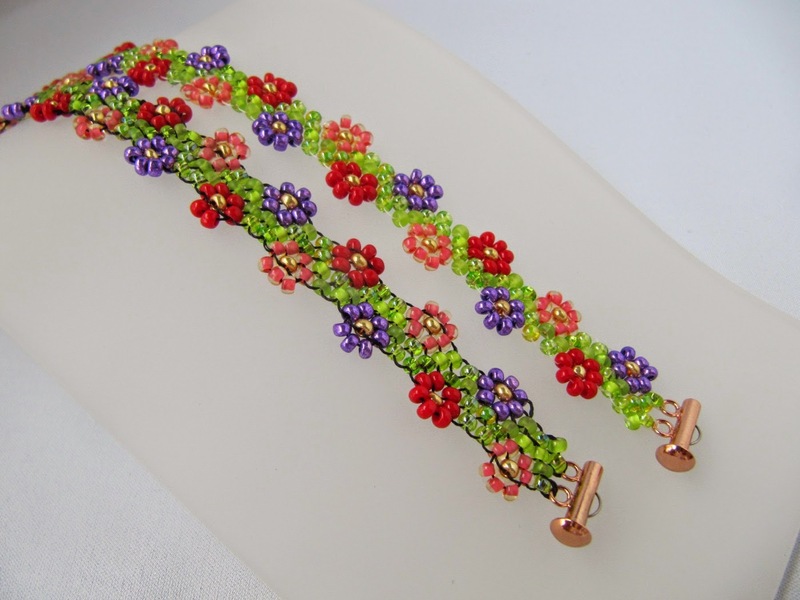 Here is a great video from Melanie Potter, of the School of Beadwork. Create a slipknot 8-10 inches from the end of your new thread. Slip it onto the old thread. Tighten and slide down on the old thread to the work. Tie the ends with a surgeon's knot (a square knot with an extra twist). You will need to secure the ends into the work using circle knots. Circle around the woven thread between beads, pull end thru the small loop created and pull tight. Repeat a few times for each end. 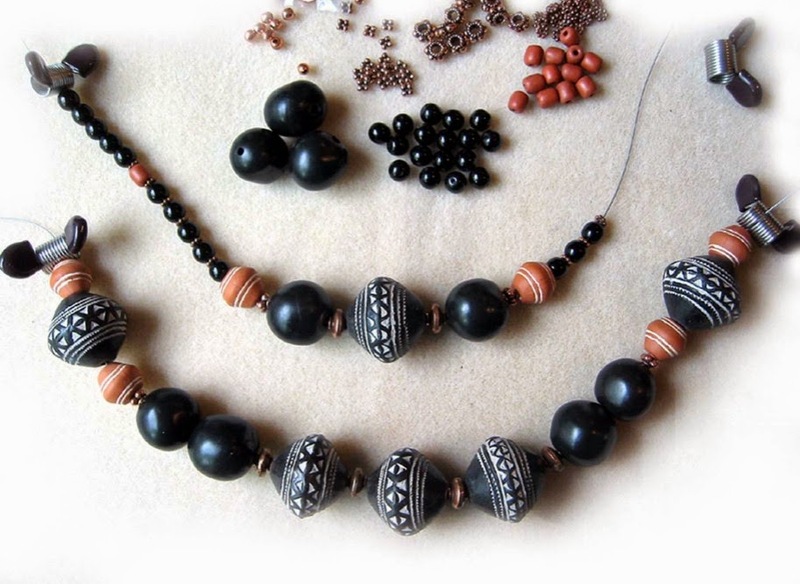 A helpful tip for finishing a bead woven necklace is to add an extra bead between the clasp and the beadwork. Here are some different style of closures you can use to add the last finishing touch to your design. 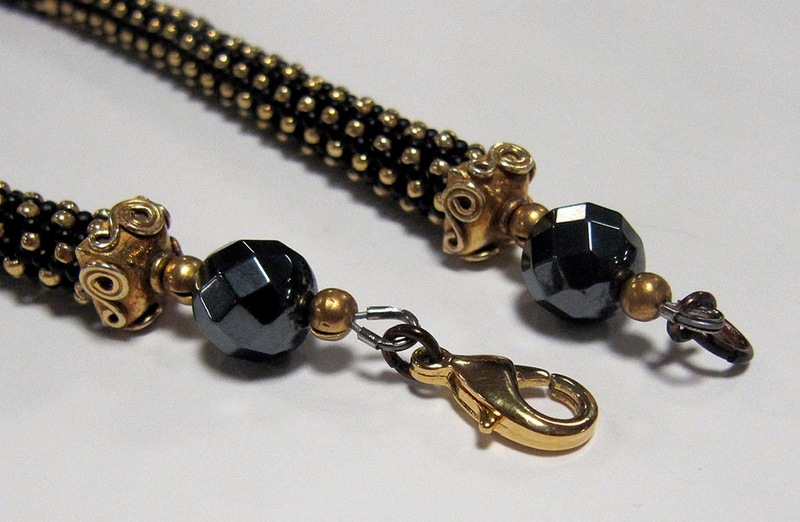 Choose a clasp that works with the style, scale and design of the piece. 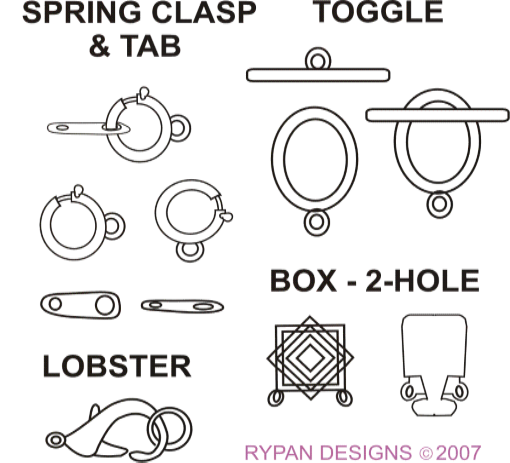 Tubular clasp are available in different sizes for wider designs. Working with beading wire requires a different set of tools. 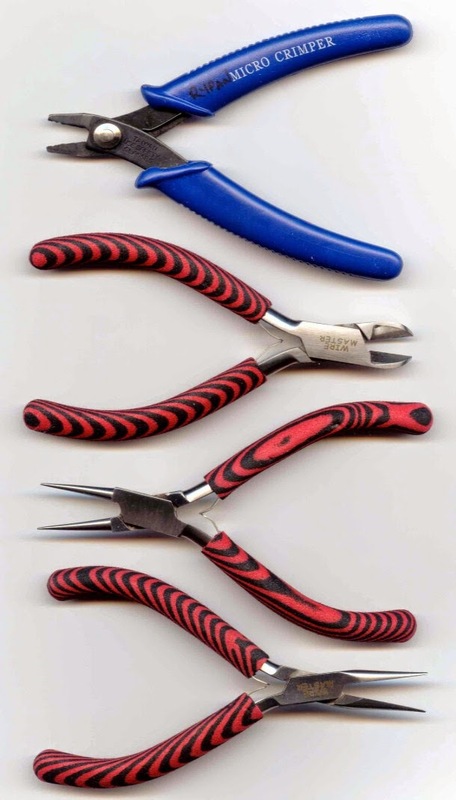 Crimping pliers, wire cutters, round nose and flat nose pliers. Choose that best tools that you can afford. Another small but very helpful tool is a beadstopper. You will likely want to have a number of these little springs in your tools collection. 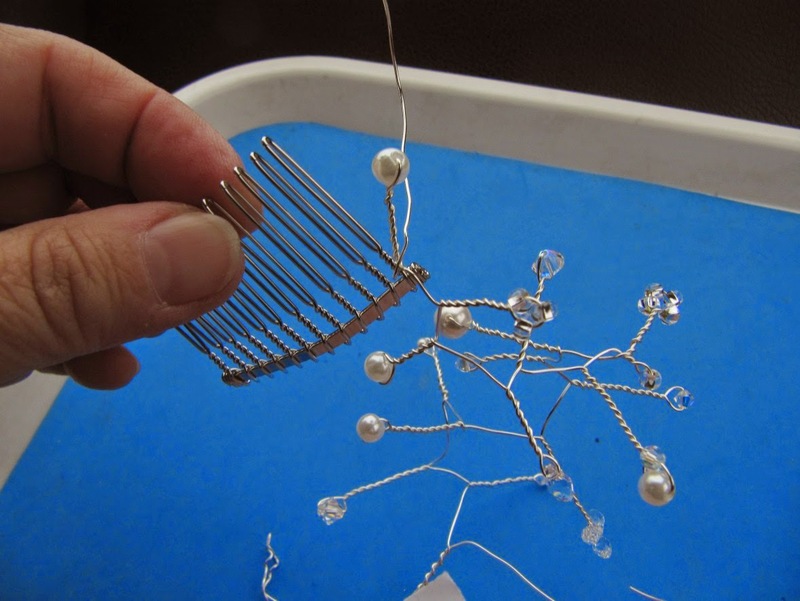 Once attached to the beading wire the beadstopper keeps the beads from sliding of the wire. 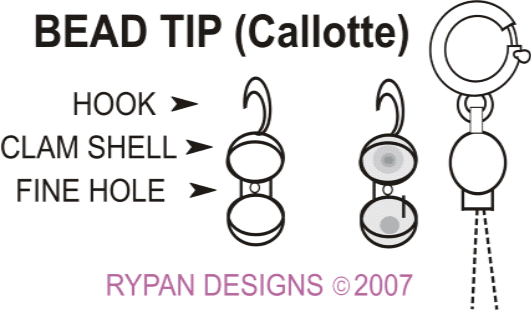 This is very useful when audtioning the beads for your design. 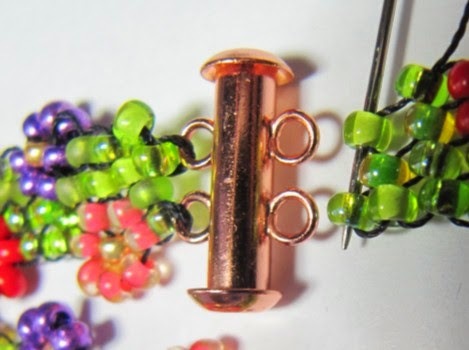 Once you have finalized your design for your stringing project you will need to you crimp beads to attach the findings. 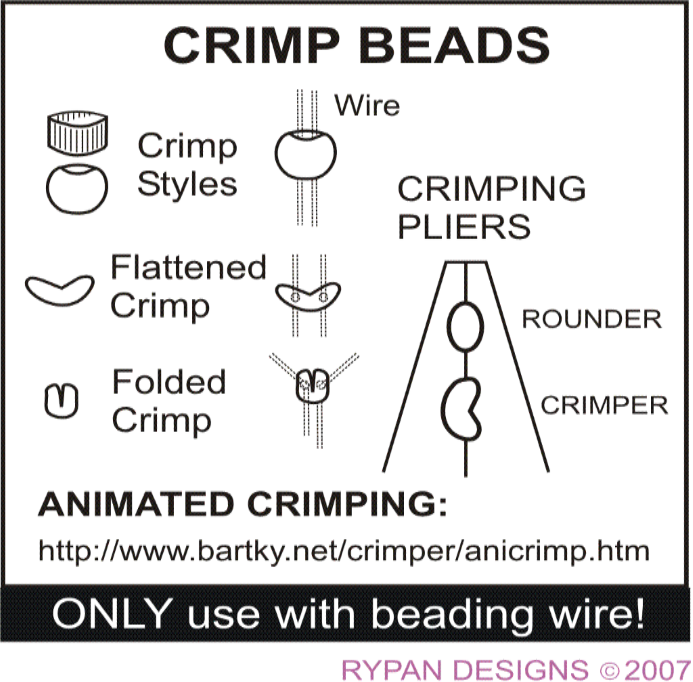 Here are the steps for crimping crimp beads. 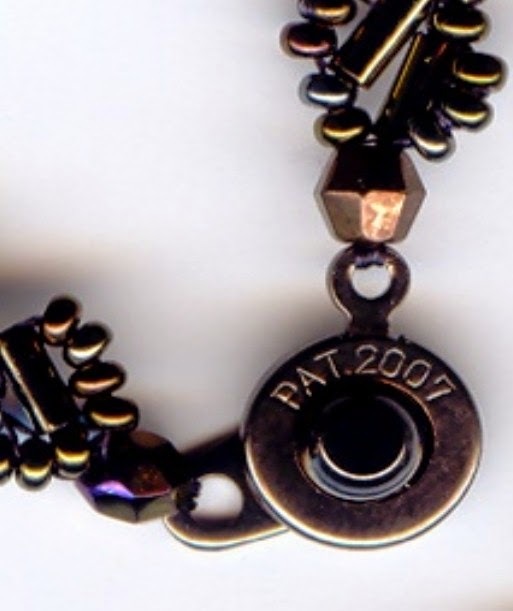 For a more finished look you can use crimp covers over the crimps which hides the crimp within a hollow bead. Another great finishing component is a wire guard. It will protect the wire as it goes thru the finding. 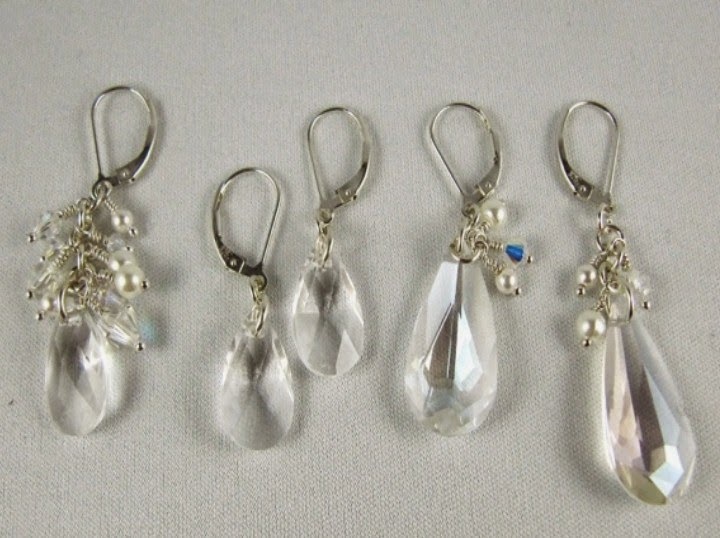 To create earrings or dangles you will need to use head pins and eye pins. Your basic wire tools listed above are all you will need. 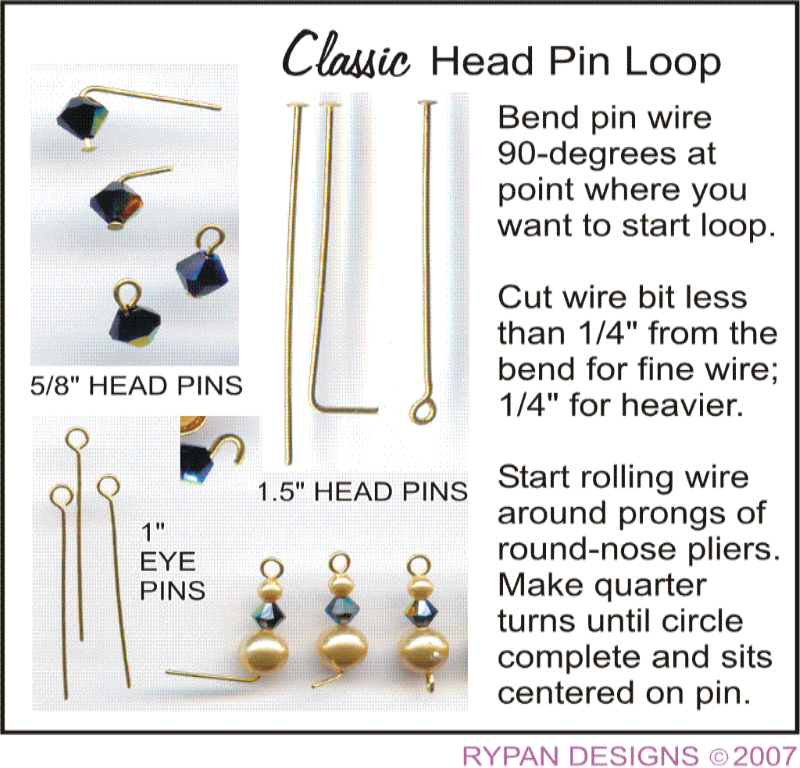 Here is the basic steps for creating loops on the pins. Follow this link to a folder with the three handouts that Maria gave out during the presentation. Watch for the highlights of Maria's other presentation "Simply Beadweaving" on the weekend. Three men have met in the rooftop café of an old house in Lviv, Ukraine. They sit high above the housetops, spires, and towers of a variety of architectural styles reflecting the centuries of Lviv’s existence. Age and illness have dimmed the vision of two of the three friends but they can easily recall the historical epochs that they lived through. In 1944, they were classmates at the First Lviv Grammar School. That year—as World War II raged—spelled a parting of the ways for these three lads from Galician noble families. One wound up in North America; another made a horrific journey through the Gulag Archipelago; the third was able to remain in his homeland. 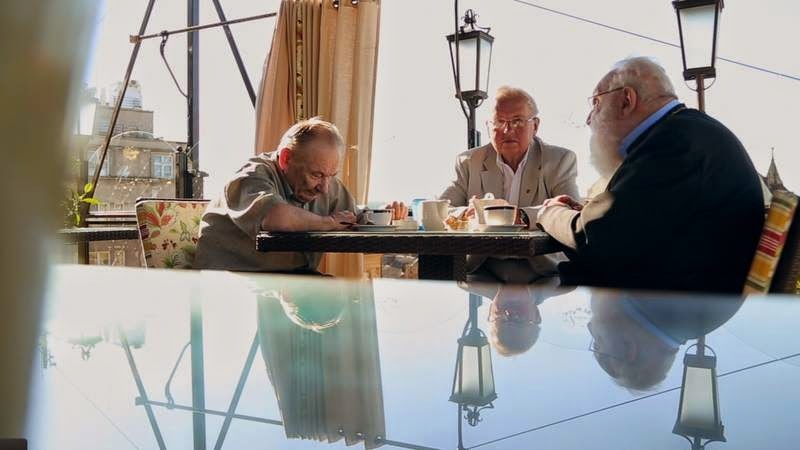 70 years later, they meet in Lviv: an outstanding Ukrainian oncologist Borys Bilynsky; a monk and former Head of the Ukrainian Greek Catholic Church Lubomyr Husar; long-term prisoner of Soviet camps Yuriy-Bohdan Shukhevych. Borys Bilynsky, born 1933 in the city of Zbarazh, Ternopil Region. He is an alpinist and a leading Ukrainian oncologist, doctor of medicine, professor, and author of more than 200 scientific works including the first oncology textbook in Ukrainian. Lubomyr Husar, born 1933 in Lviv. He emigrated with his family in 1944, ending up in the USA. In 1958 he was ordained to the priesthood there. In 1972 he went to Rome and joined the Studite Order. In 1977 Patriarch Josyf ordained him bishop for the Church in Ukraine. He is a Cardinal in the Catholic Church and was the Major Archbishop of the Ukrainian Greek Catholic Church from 2001-2011. Yuriy Shukhevych, born 1933 in the village of Ohlyadiv in Lviv Region. He is a Ukrainian politician, Soviet dissident and political prisoner, son of the Commander-in-Chief of the Ukrainian Insurgent Army (UPA) Roman Shukhevych. The UPA was a partisan army fighting both Nazi Germany and the Soviet Union. Yuriy Shukhevych was arrested at the age of 15 and spent more than 40 years in Soviet prisons and camps and in exile. This film was created as a part of the “Lubomyr” Project with donations from people from all over the world. 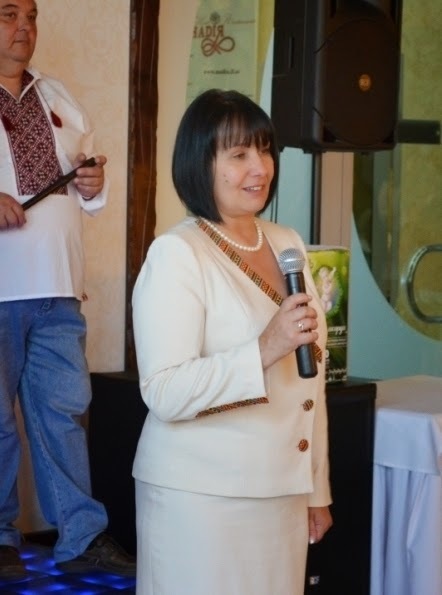 While in Ukraine in August 2014, Maria Chulak, the chair of 'Rossa Karpat' (Cathpathian Mist), a community organization promoting folk art and craft in Prykarpattya invited me to help to promote this festival so there could be an international presence. I agreed and here are all the details and application form in English and in Ukrainian. 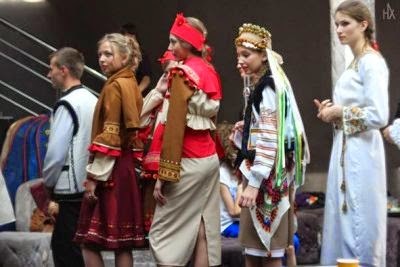 Next spring there will be a III Prykarpattian Festival-Contest of Designer Outfits with Folk Motifs --"SPRING CHORDS" in Ivano Frankivsk, Ukraine. You can see and read about the first and second festivals on the internet. I'm showing a few photos from the previous shows. Participation is FREE, however, the shipment of submission garments or travel are at your OWN expense. The application deadline is March 20, 2015. The Third "SPRING CHORDS" (Весняні Акорди) Gala is scheduled for May 22, 2015. In the framework of the festival -contest there will be master classes, press-conferences about the festival results, formal finale, awards ceremony and a gala concert. 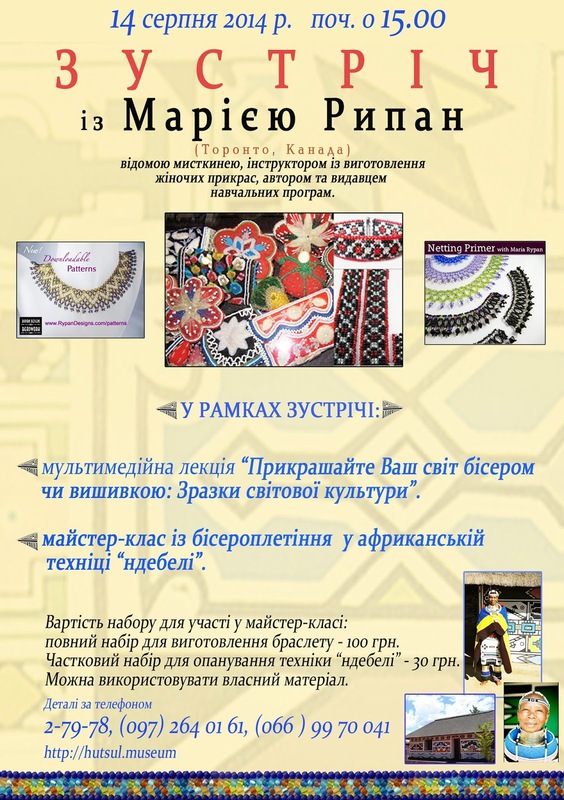 This is a wonderful opportunity to participate in a festival designed to promote contemporary clothing inspired by traditional folk art motifs. While it's nice that that the producers are gearing this towards students and young professionals in Ukraine, I personally do not see what age has to do with it. It's the love of the folk arts, design and imagination that should be celebrated here. The idea is to create contemporary fashion with motifs taken from folks arts and embroider, weave or embellish with beadwork (embroidery or beadwoven 'gerdan' accessory). There are many parcel and courier services to Ukraine. Shipping time needs to be built in so the submissions arrive in Ivano Frankivsk by May 10, 2015. No entries will be accepted without prior application. A fashion show and gala will be held May 22nd at Hotel Nadia. There is a contest component to this with judging in four categories: One Garment; Costume; Collection; Accessories. I would like to see many entries from USA and Canada participating in the next Festival-Contest. This is a very doable project! All it takes is to file an application by Mar 20th; send your outfit(s) to Maria Chulak by May 10th for fitting a model and prep for the show; plan a trip to Ukraine with a stop in Ivano Frankivsk for the Gala SPRING CHORDS Festival-Contest on May 22, 2015. The personal trip would be an awesome for the Festival and your soul. Need any more excuses? The benefits are numerous. If you participate, you become an "international" designer, creator and supporter of contemporary folk arts in Ukraine. If you have something suitable, I believe you can send a few outfits (don't forget the application form) to Ivano Frankivsk. There have been many great contemporary embroidery events recently in USA, i.e. at the Ukrainian National Museum. We have been doing this for a long time in North America. The competition originated with the goal of developing and simultaneously supporting young talent, creativity and growth professional level of a fashion designer. The festival enables an interregional exchange of artistic values, preserving of traditions and acquaints youth with Ukrainian folk culture. This form of artistic competition strengthens the love of folk arts and creativity, preserves spirituality, ethnic independence, and is a renewal of moral values. The main goal of the festival-contest is to give students and young professionals opportunities to express their fantasy, demonstrate expertise and visualize garment styles based on folk traditions. “Spring Chords” helps applicants make the first steps in a professional career, enables the development of a nationally-focussed creative individual. Participation in the competition gives youth a chance to demonstrate their artistic potential to professional designers and is a natural starting point for further cooperation with well know fashion designers. SPRING CHORDS Festival creates the conditions for creative collaboration between collectives and master craftsmen – representatives of the traditional national culture; enables the rebirth of national holiday rituals and customs, propagation of better spiritual values of the Ukrainian people, love of the native land; helps connect youth to Ukrainian folk art; encourages the preservation and support of the historic-cultural and natural riches of the Carpathian land. Participation in the “Spring Chords” Festival-Contest is free. Participant’s work and information about them will be included in the Festival catalog. The creative work of the designers will be evaluated by a competent jury: designer, art scholars, craftspeople, artists, expert-analysts. Entries should be created on the basis of folk traditions and be adorned by embroidery, weaving, bead embellishment. Entries should demonstrate the designer is aware of the current fashion trends and direction. Entries should be created using quality materials, in keeping with the technological requirements. Entries should be oriented for the consumer. Contest winners (in each category) will be awarded with memorable souvenirs. Information about “Spring Accords’ will be available through the internet; in the press, media, information services, other mass media with rights to feature the event. Here are all the details and application form in English and in Ukrainian. In the framework of the festival -contest there will be master classes, press-conferences about the festival results, formal finale, awards ceremony and a gala concert. It has been a while seen either Maria or I have posted on the blog, but watch from upcoming posts as Maria is going on an international road trip. As I am writting this she is doing last minute packing and getting ready to head to the airport. First she will be in western Ukraine for family visits, genealogy research, presentations about beadwork and teaching her Ndebele Motif Cuff. There is also the screening of the documentary, Three Muskateers which is related to documentary about her uncle Lubomyr Cardinal Husar. 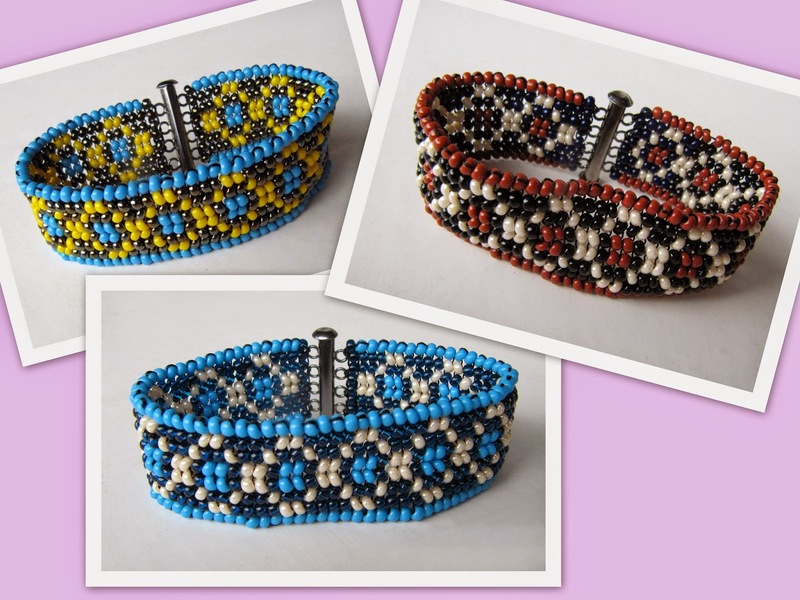 On August 14, in Kolomyya at the National Museum of Hutsulschyna & Pokuttya she giving her presentation Embellishing Your world: Beading & Surface Designs - Examples from World Cultures and also teaching the Ndebele Motif Cuff. After her tour around Ukraine she will be heading to Czech Republic to tour the glass bead industry in Prague. 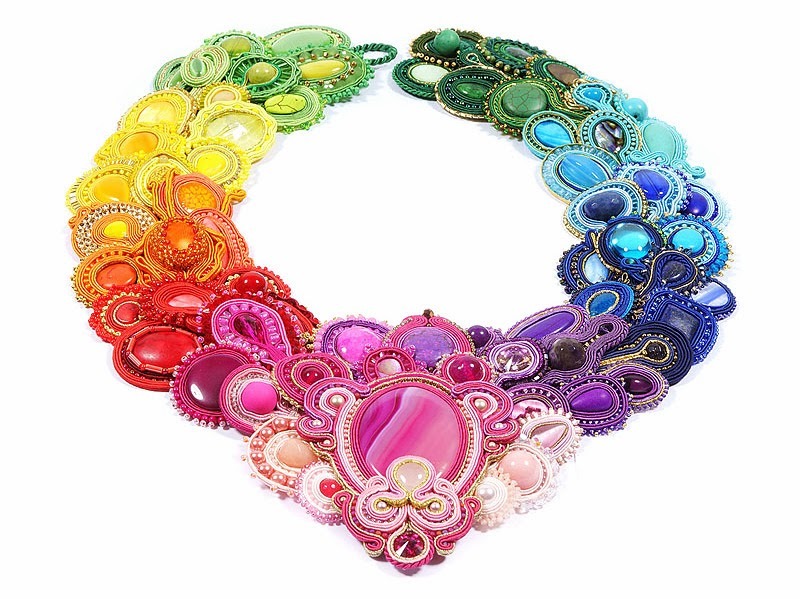 Her tour guide will Czech beadwork designer Adela Kodonova. Once she returns to North America she will be part of the Meet the Teach event at beadfx on September 13. She will be teaching the Ndebele Motif Cuff there later in the fall. Maria will be sending me pictures and updates from her trip. I will be sharing them here and on our Facebook page. 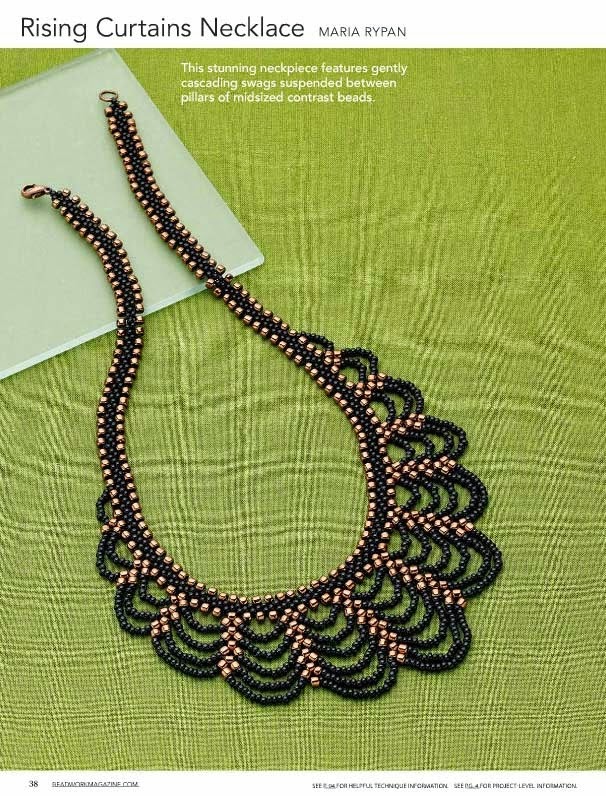 In the Jun/July issue of Beadwork Magazine includes Maria's swag necklace. 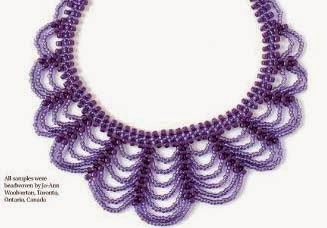 This classic style is made with size 11s and 8s seed beads. Here it is in the classic colors. Or you can try it in a monochromatic color palette, like the purple version. Hope that you enjoy this elegant design in your own color combinations. Wow in just one month spring will officially arrive here in Toronto. After a long a snowy winter it will be great to see green grass and the buds on the trees. One month after the arrival of spring will be the Spring Creativ Festival, April 25 & 26, 2014 at the International Centre. This morning the information about all of the seminars, how-to demos, make-n-takes and miniworkshops when up live on the show's website. All of which are included with your admission. Here are the details for the three seminars that Maria will be presenting during the show. 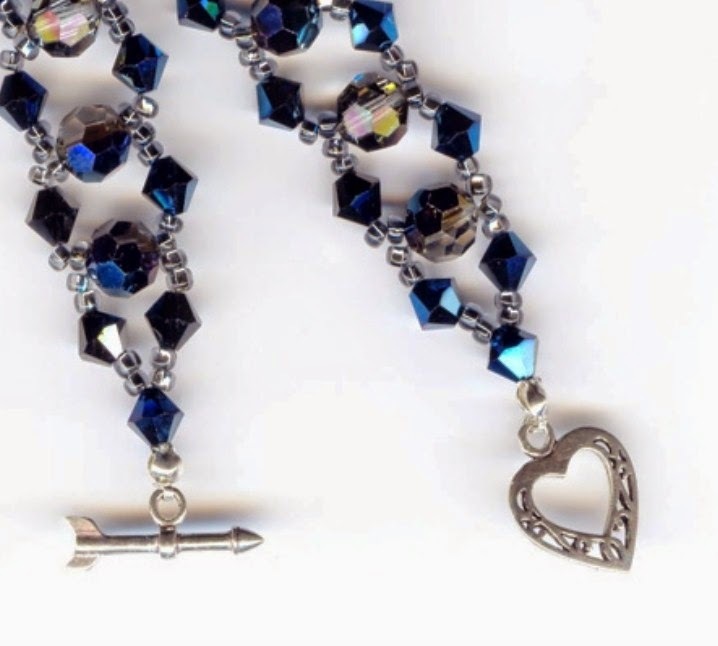 Kits are great for learning a technique and beading a ready made style. Once you've mastered the project, it can be repeated in so many different ways. Maria shares techniques on how you can transform an existing pattern into your own unique creation and will inspire you with wonderful examples of designs that go beyond the kit. 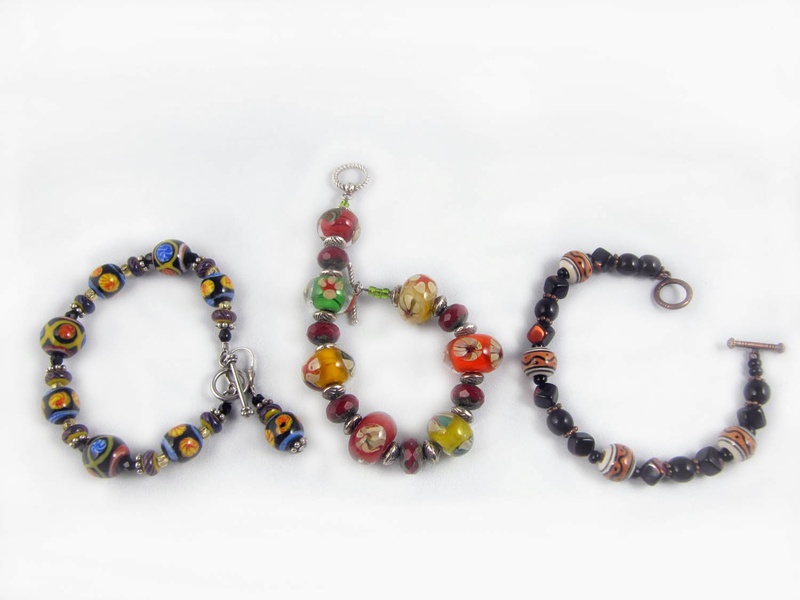 This original presentation, inspired by Maria’s blog series “ABC’s of Creativity” highlights examples of bead types, variety of stringing materials available and different tools that can be used for beading. Learn to make the best choices on what to use for different techniques and what's best for your project. Plus, get tips on best use of colour along the way. 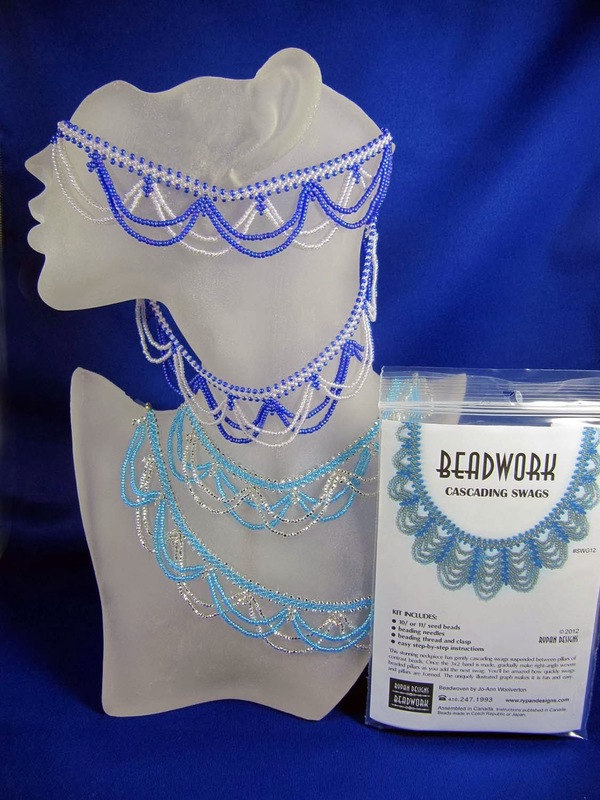 Properly finished beadwork is essential to its enjoyment and wearability. 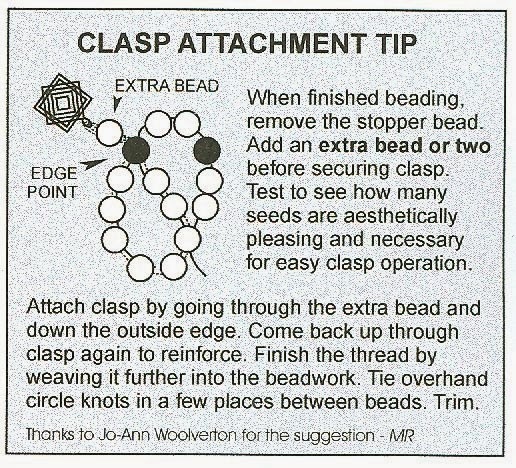 Learn about different types of clasps and beaded closures. 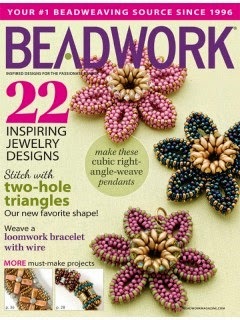 Get instruction on how to attach and direction on what's best suited to different types of beadwork. 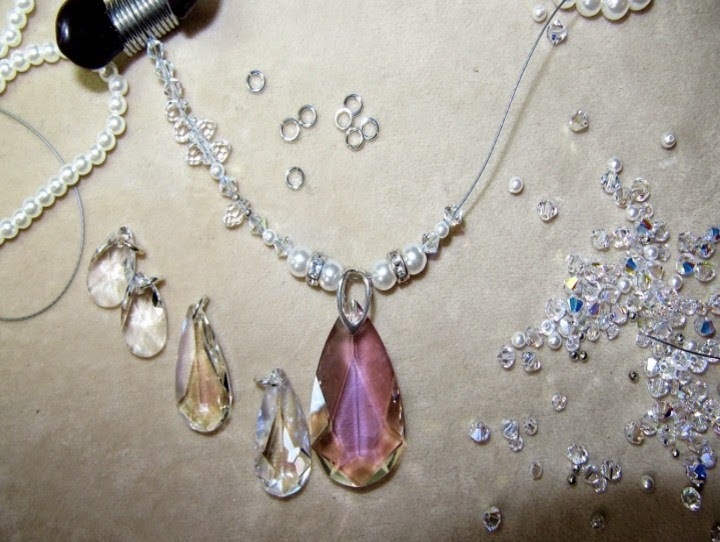 Examples of incredibly finished pieces will be shown to inspire you. 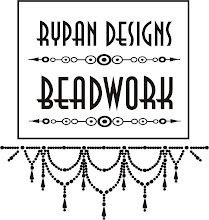 If you have created something based on one of Maria's kits, please send her pictures and details and it may be included in the presentation Beadwork: Beyond the Kit. A full selection of our kits and patterns will be available during the show @ booth #372. We look forward to seeing you there. Back in January of 2013 Maria and I were working to get her newsletter setup and published. 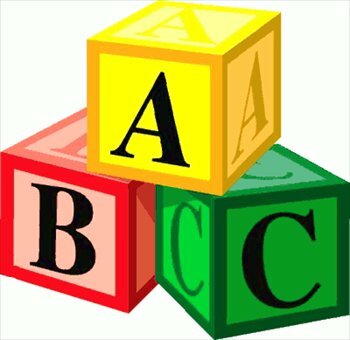 We talked about things to include and the idea of the "ABC's of creavitity" was mentioned. I thought that it would be great to have here on her blog and I offered to write the first one about being inspired by Art. So we started on journey last January 14 with A is Art. 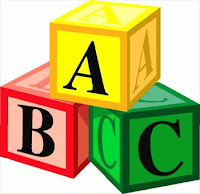 Over the year every 2 weeks either Maria or I have written about a topic suggested by a letter of the alphabet that would inspire, inform or entertain you, our readers. There have been challenges along the way, including the time that Maria and Blogger did not get along; remembering who was going to to which subject and family committments. But together we were able to take you on this creative journey. Today I am going to look back at some of our favorites. 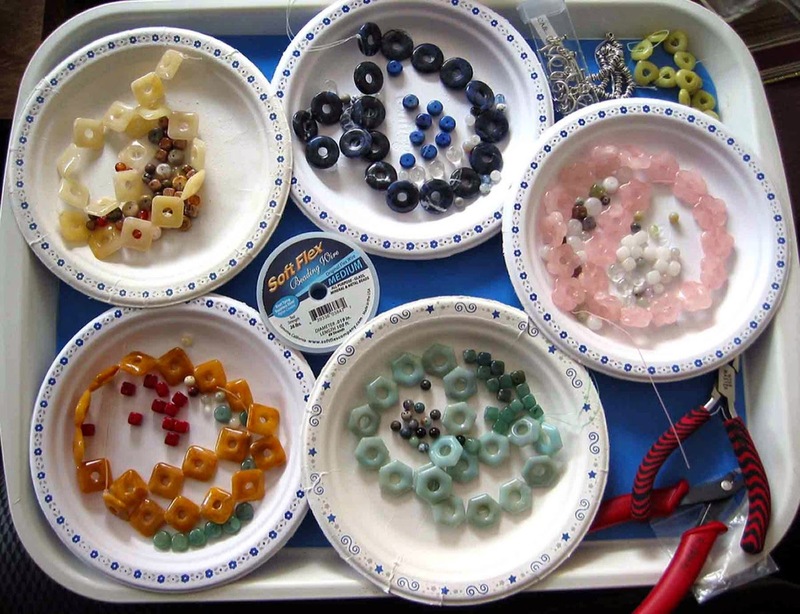 My post B is Beads was fun to look at different types of beads and how they can be used. 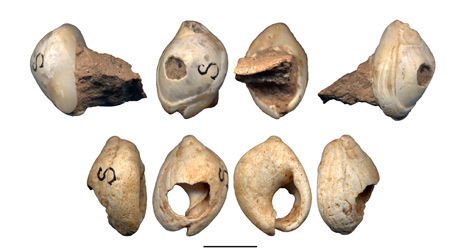 It was great to find information about some of the oldest beads ever found. Maria's post C is Color was both informative and inspiring. 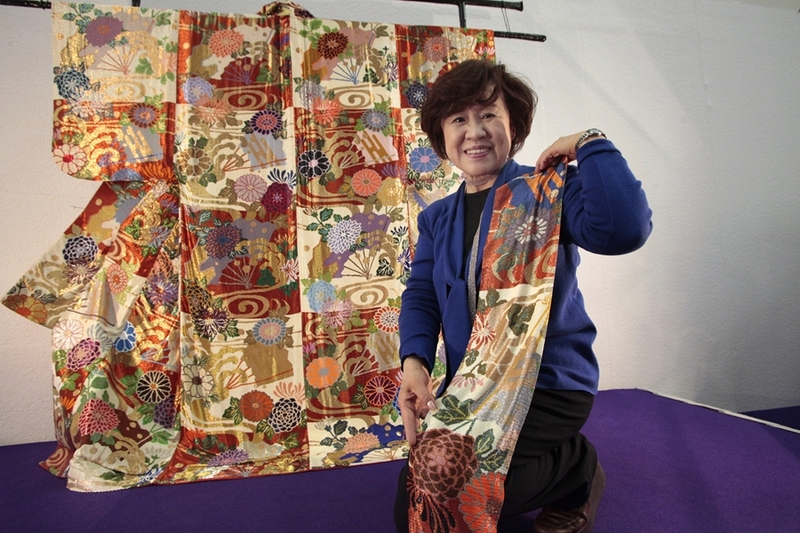 It touched on the various color relationships and shared inspiring palettes and beadwork. Including this amazing collaborative piece entitled Teczak - The Rainbow. This ultimate color wheel was designed as a fundraiser by Ewelina Rzad. 50 beaders from Poland participated. Soutache and seed bead wrapped cabochons are tastefully layered into a collar. 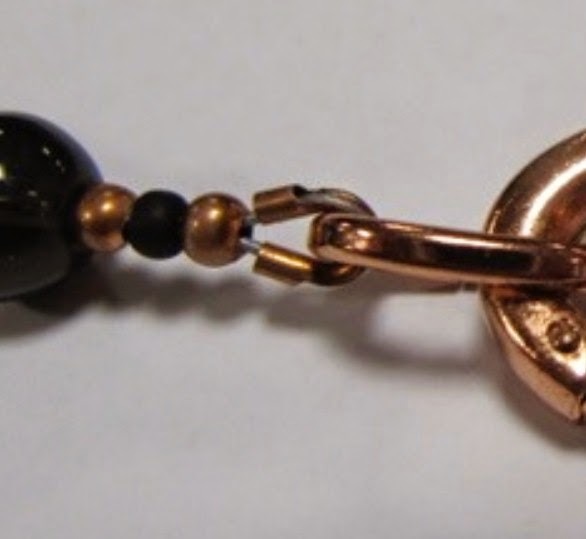 Each cabochon is a mini work of art. One of Maria's favorites is her post E is Embroidery. She was able to show the amazing embroidery with both thread and beads from across Ukraine and around the world. This "sorochka" chemise uses beads to create a row between stylized flowers or acced their centres. It was created in Ukraine and is now part of Maria's collection. The post J is Jewelry was fun to write as I looked as accessorizing from top to bottom. There is lots of eyecandy but also helpful images like this. The two posts about Maria's areas of beading expertise are informative and inspiring - L is Loomwork and N is Netting. I enjoyed the challenge of preparing the post Q is Quills. There is limited information online about this unique First Nations art form. Using pictures Maria took during a class with First Nations' beadwork artist Naomi Smith, I was able to take you thru the basic steps of this variation of beadwork. And of course we could not take you on this creative journey without including S is Seed Beads. Maria's post does everything we were hoping do with each post; inspire and inform. Czech seed beads with iris, silver-lined, matte painted stripe and opaque finishes. I hope that you have enjoyed our creative journey thru the alphabet and that we have inspired and been informative along the way. Wishing you a happy, healthy and creative New Year.